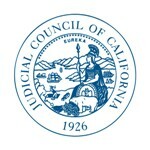 The Judicial Council will consider recommendations to temporarily modify how it distributes funding to small courts for court-appointed attorneys in juvenile dependency cases. Funding for dependency counsel is provided through the state budget and is allocated by the Judicial Council based on formulas developed by a council committee. Small courts, defined as the 30 courts in California counties with the lowest child welfare caseloads (fewer than 400 children in child welfare), generally have less access to qualified court-appointed attorneys. These smaller courts, located in more remote and less-populated counties, must pay the attorneys more for their time and travel than larger courts in more populated counties. The Judicial Council calculates it needs a total of $202.9 million to adequately fund court-appointed dependency counsel for local courts but currently receives only $114.7 million.